Created by young parents for a whole generation of similar-minded young parents. 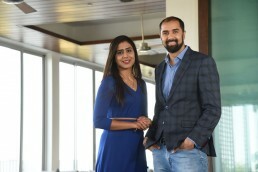 Asia’s first Madesafe brand was created by a young couple, Varun and Ghazal Alagh. 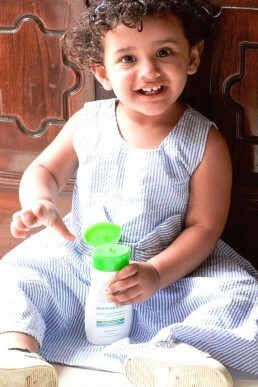 Weeks and months of researching safe, toxin-free products for their little son, and ordering them from overseas led them to realise that there were other parents like them. Parents who went to great lengths to choose safe, natural products that wouldn’t harm their little ones. Mamaearth is a brand that listens to parents’ concerns, and their relationship with their customers is one of trust and solidarity. As mothers voice their issues with existing baby products, Mamaearth works to address them innovatively, through gentler, safer products. In its first year itself, Mamaearth sold more than 100,000 products. Today, its range includes baby care, mosquito protection, skin care, hair care, and wellness solutions for mothers. As more women join the workforce, time is at a premium, and they seek convenient, well-thought-out solutions to their concerns. A second trend is the vastly increased per capita spend on child care – it’s risen almost 6X in the last two decades. The third trend is the search for “clean label” products, on the rise across personal categories. Mamaearth dreams of being a part of over a million parents’ lives by 2022. Their two-year-old still has no idea of the magnitude of the movement he has inspired.